Home Fiverr How To Make Money On Fiverr ? How to make money on Fiverr? I know that some people have joined this way but almost they didn't get a good way to earn money from that. So what's good way to make money from Fiverr? in this posts serial I will show step by step to work. I'm sure if you follow my guide you will get at least $3000 per month from Fiverr. If you want to get the most out of "Make Money On Fiverr" topic, I highly suggest you go ahead and bookmark it. leave a comment on posts. I try to send out weekly and answer your comment free tips as well as update my readers on the state of Fiverr .As Fiverr introduces changes or even sometimes implements new rules, it’s important to maintain a discussion on how these things affect us and our business on Fiverr. Also, while it’s tempting to flip ahead to the meat of the topic, I suggest reading from beginning to end and in order. I will often refer to tips from previous post. Also, it’s important to not miss any information. There are a lot of little things or little details in "Make Money On Fiverr"
topic. Every single one of them, when implemented in entirety, will really help you be successful on Fiverr. Throughout "Make Money On Fiverr" topic , I will refer to the 80/20 principle or the “Pareto principle”. It means, generally, that 80% of the effects come from 20% of the causes. You can apply this to anything but it is most commonly applied in business. I’m a big believer in this rule and follow i for all my ventures, startups and projects whether they’re financially motivated or not. I even applied it. It’s important to understand and learn this rule. I learned to apply this to Fiverr realizing 80% of my sales came from 20% of my gigs. I could bore you with it in this topic but there are a lot of free resources out there, including Wikipedia, which can do a good job of explaining it to you. It’s not crucial to your success on Fiverr nor will I try to push my business theories and beliefs on you. It’s just a small detail I thought it would be worth sharing, especially if it ended up helping you on Fiverr! Fiverr isn’t a site like eBay, Amazon or anything else. Yeah, I know it’s a $5marketplace and that is Fiverr’s gimmick. But let me get into a theory of mine really quickly. I think Fiverr has invented a new kind of website and marketplace. I think it’s a trend that will really grow and we will start to see many more sites like this. Fiverr is what I like to call a “social marketplace”. It’s more personal and community like than say a site like ebay. People put their faces on their gigs. Their brand is themselves. Why’s this important or why should you care? Well, I dive into this a bit in this topic but if you treat Fiverr like just a marketplace you may not fulfill your true earning potential. You can’t be faceless on Fiverr; you need a little bit of personality. This is not going to make or break your success on Fiverr but Fiverr does have its’ own unique style and culture. It is just something important to consider. So what is Fiverr? Fiverr is an online marketplace where people buy and sell services for $5. You can sell your own services and potentially make some money doing so. Fiverr takes a 20 percent fee off the top of any sales you make. That means a $5 service earns you $4.Even worse, Fiverr charges $1 every time you withdraw the balance of your account. 4.How To Sell SEO Services On Fiverr? 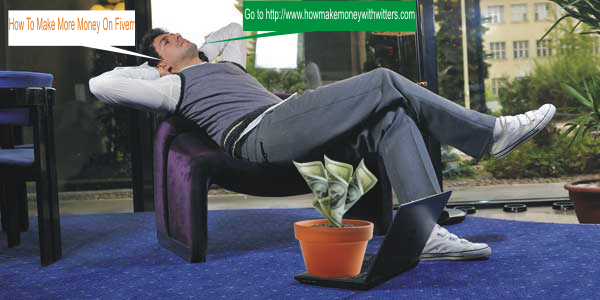 5.How To Make Money With Social Media Traffic On Fiverr? 6.How To Sell Nich Research Sevices On Fiverr? The next time I'll start writing "Some Tips To Create a New Account On Fiverr" please bookmark to be kept updated on all my posts.